Silvercar is a brand spanking new car rental company that is taking the country by storm and doing so with a great product and fantastic customer service. Just like how Uber and Lyft transformed a dreaded necessity into a pleasure, Silvercar has the potential to do the same for the car rental industry. However, I was a bit skeptical - what was the trick here? Luckily a rep from Silvercar reached out to me and invited me to test it out the next time I had a trip where I needed a car. So I took her up on the offer during a recent trip to Chicago and will likely be returning again as a paying customer! The company launched in early 2013 serving customers in Dallas and has since expanded to 12 different airports including McCarren Airport in Las Vegas this week. It would be challenging to point to just one thing that Silvercar does unique. Instead, it's as if the company sat down and tried to re-imagine the car rental industry and applied the latest technology to eliminate traditional pain points while focusing on the human element even while it delivers a high-tech experience. My journey started out by making the reservation on the website (though you can also do it via the mobile app on iPhone or Android) and then created an account including adding my drivers license and insurance information so that all I needed to do when I arived was to just check-in and go. 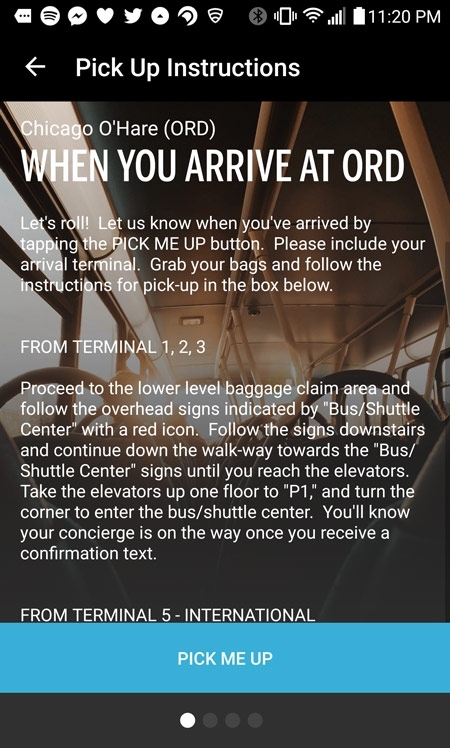 Upon arrival at the airport all I needed to do was open the app and click "pick me up". 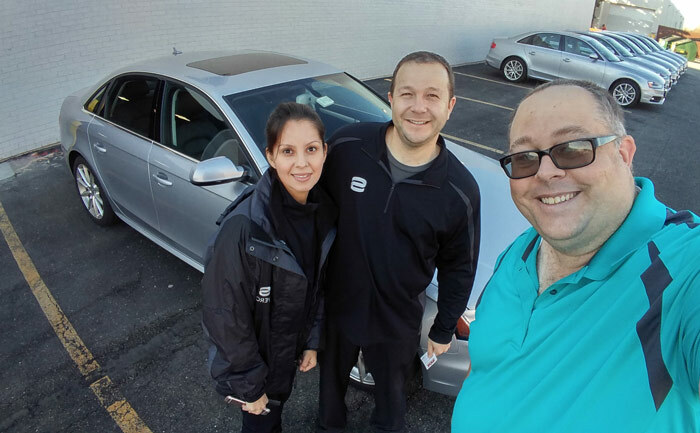 A few moments later a driver showed up in a brand new Audi A4 and drove me to the rental office where she confirmed my ID and credit card information etc. My understanding is that upon subsequent rentals that this step is not needed since they have already confirmed my identity. Once we were set, I opened the app up again and using the QR code reader I was able to scan the code on the car (very similar to how urban car rentals like zipcar work) and the car unlocked. I was ready to go. There was none of the cramming into a dirty bus with a dozen other people and then waiting in line. It was a first class experience from start to finish. One of the things that's cool about Silvercar is that they have one type of car - Audi A4 - and in my case it was almost totally new, with less than 200 miles on it. Inside the car, you get free GPS navigation, Free WiFi, Free Satellite Radio, and a car that you're happy to be seen driving. Additionally, instead of feeling like you're getting screwed with having to pay extra for a transponder to pay tolls or get gouged on the price of filling up your tank, things are very transparent and priced fairly with Silvercar. This allowed me to have a completely smooth return process and all charges were itemized and recorded in the app, allowing expense reports to be filed very easily. The experience of driving the Audi A4 was simply spectacular as well. This is a fun car that gives you the feeling of driving something special. It isn't that it is particularly luxurious but the car has what you need and then just a little bit extra. While not a large car by any means, I found the trunk to be more than adequate for a weekend getaway or a quick business trip. Price wise, this is not necessarily going to be your cheapest option. With my average daily rate of $59, you could probably find something cheaper. However, when you start to compare the similar rental costs at other providers it becomes a great deal. 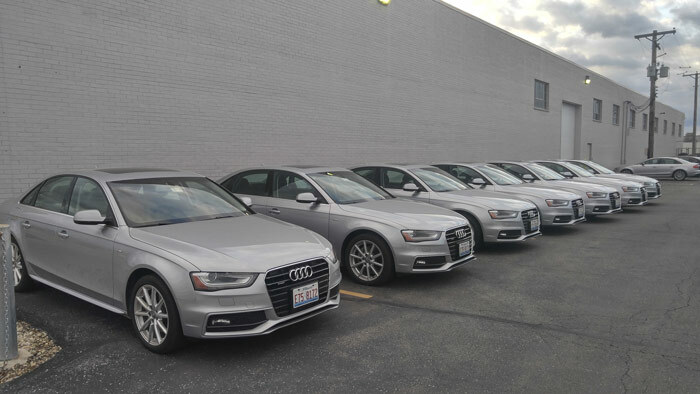 During a quick search at O'Hare Avis, National, and Enterprise all had compact and full sized cars ranging from $40 to $60 per day. However, when you move to Premium or Luxury categories (which an Audi A4 would be), the price suddenly jumps to $100 to more than $150 per day. That price is in addition to any charges such as refilling the tank, GPS rental, and don't even think about asking for free WiFi. Honestly, for me I typically go with the lowest cost when it comes to car rentals. It's an industry segment where I generally don't care about luxury, but I do appreciate service. That's where Silvercar really got me. The people all spoke English as their primary language, they greeted me professionally, genuinely seemed to appreciate their customers and made me feel welcome. On top of that the experience was so streamlined that I sorta wondered if maybe I was just borrowing the car from a friend instead of a company.